Let’s take a trip back in time. A time when we didn’t have a care in the world. 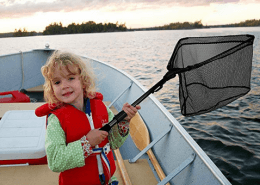 A young angler. Back then we would grab everything we had, bear hug it and take off running for the water. Stand there all day and fish until we couldn’t fish anymore. And, if you’re anything like me, lose half of your gear. Or should I say, dad’s gear. Well, I don’t know about you but those days a long gone. Now my kids are losing all of my gear, it’s a vicious cycle I guess. Or karma. Regardless we can all save some time and money if we invest in the proper tackle fishing bag. No more bear hugging everything, losing gear or accidentally forgetting something. These bags are designed to allow the angler to carry everything they may ever need. 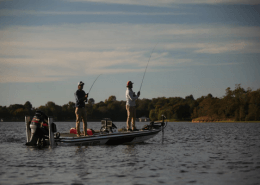 They have the ability to carry rods, fly fishing reels, tackle boxes, lures or just about anything else you might need to a day on the water. Generally speaking they’re almost always water resistant and sometimes they even come with their own waterproof covers. Talk about fancy! 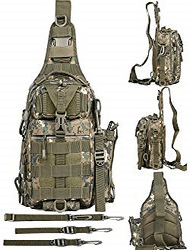 If you’re looking for the best fishing backpack below you will find the Top 5 Tackle Fishing Backpacks of 2019. The Nomad is hands down one of the top fishing backpacks currently on the market and it’s one of Wild Rivers signature bags. They refer to it as their ‘single solution’ bags, and it’s not hard to see why. This bag comes with more bells and whistles than a new police cruiser. For starters it comes with a built in LED lighting system allowing you to not only see throughout the entire bag, but it also allows you to work long after the sun has gone down. No more struggling with flashlights or headlamps, this bag allows you to see as if it were still high noon. You also get a divider that is completely removable. Allowing you to divide the backpack into two sections or removing it which converts the bag into a full size backpack so you have the ability to carry those larger items.The Nomad has the ability to hold either 4 or 6 trays depending on your choice of tray, it can hold 4-3500 series trays or it can hold 6-3600 series trays. To say this is a bag that every fisherman would love is simply an understatement. This is a bag that anyone would appreciate having regardless of what they were going to use it for. The Nomad has so many extras it makes you wonder how they were able to fit all of those things into one bag. For starters they incorporated a fishing pliers holder on the outside of the bag that can easily be removed and attached to your belt, cool! They have a number of both internal and external mesh pockets that allow you to easily see the contents of your bag at a glance. Not only that but it has several base pads allowing the bag to stay slightly off the ground helping the bag stay both clean and dry while also reducing the amount of wear and tear that will inevitably happen. Now let’s take a look at some of the finer details that we know you will appreciate. The front pocket folds down into a sturdy and hardy little work surface, no more using your leg as a table. The top compartment is used to keep your sunglasses safe from damage, it’s extremely tough and would need to be thrown out of a plane for the contents inside to be damaged. Finally we’ll cover the included rain ‘cover’ (get it). You never know when mother nature is going to sneak up on you and give you an afternoon shower, but with this bag you don’t need to worry about that. The included rain cover ensures that the contents of your bag will stay bone dry even during the hardest of downpours. This would make a great bass fishing backpack. Piscifun has come out with a great shoulder bag. This bag has a surprising amount of space in it for the size and we were pretty amazed just how much stuff you can carry in this thing. On one side of this bag you have the ability to carry your rod or any accessories you might bring along. This comes in handy when you need both hands to climb up or down something. We’ve all been there, trying to climb something with one hand only to later realize it was a bad decision. If you don’t use this area for your rod you can easily use it for storing your pliers, key or anything really. There is also an option to carry your water bottle on the side. We didn’t look to see just how big of a water bottle you can carry but our shaker cup fit just fine. There are two smaller pockets on the bottom of the bag that can also be used to carry pliers or fish gripper, these pockets were a nice addition to this bag. There are three compartments that make up the interior storage as a whole. There was enough room in this bag to store your tackle boxes, extra line, additional pliers or anything else you found essential for your fishing trip. Another thing that sets this Piscifun fishing backpack apart are the full length double zippers. This gives you the ability to have greater access at all times and they allow you to open the backpack at anytime. They are anti-corrosion SBC zippers which are extremely durable and maintain their smoothness throughout the duration of their life. One of the things this pack has that you won’t appreciate until you need it is the waterproof exterior. This pack is made out of 1000D water resistant nylon fibers. If you’ve ever been caught out in the rain with a bag full of gear you know how important it is to keep your gear dry, unless you like it when your things rust. But we’re pretty sure that’s a personal preference. Overall we really enjoyed this bag, it’s perfect for those afternoon fishing trips when you know you’ll only be out for a few hours. In many ways this backpack is the jack of all trades. It’s an overall multifunctional bag largely due in part to the fact that it has three completely adjustable, and detachable straps allowing this bag to become a handbag, shoulder bag or backpack. Not to mention that this bag is extremely comfortable. 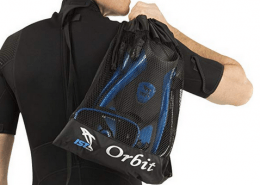 With its wider shoulder pad it is able to effectively alleviate any shoulder fatigue that could come because of the weight of the bag pulling down. Making this bag much more comfortable and convenient in comparison to other bags. 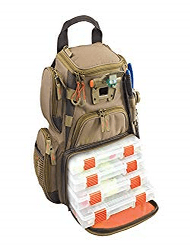 This is a great small fishing backpack. Blisswill like many other companies decided to use 1000D water resistant nylon fabric for the exterior of this bag. 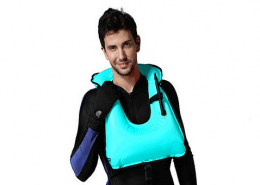 This is some of the top fabric that can be used and it is extremely water resistant almost always repelling any liquid as soon as it makes contact. They also made sure to include double zippers spanning the entire length of the bag making it easy for anyone to get into the bag whether their standing, kneeling, sitting or wearing the bag. The Blisswill multifunctional tackle bag has an extraordinarily large amount of storage space relative to its size. 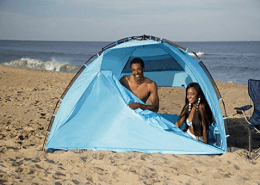 It has multiple storage compartments and several exterior pockets allowing you to carry your rod, spinning reels, pliers, fishing boxes and just about all of the other essentials needed for a day of fishing. This bag was designed to be small, sleek and able to go with you just about anywhere you need it to. This backpack might give you a small case of déjà vu at first glance but don’t let that discourage you from reading on. This backpack is called the Recon, it’s Wild River’s smaller, more compact version of their legendary Nomad backpack. And like the Nomad it has just about every bell and whistle you could ever imagine making the life of the angler who possesses this backpack exponentially easier. This backpack comes equipped with an LED lighting system allowing you to see both inside the entire backpack as well as the lighting up the exterior work surface once the sun has gone down. It also has a completely detachable plier holder as well as a retractable lanyard so you can always have the needed tools at your side at all times. 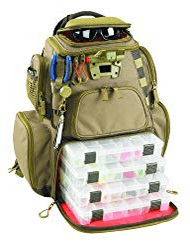 This bag is capable of holding up to 4-3500 series trays or 2-3600 series trays making it an amazing tackle box backpack. This bag features a generously large sized upper storage compartment allowing you to easily place all of your regularly needed items, such as fishing sunglasses, where they can easily be accessed. 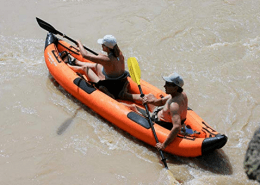 The Recon is made of water resistant material but that didn’t stop Wild River from also including a protective rain cover to help ensure that your gear stays bone dry just the way it should be. They also made sure to keep the overall integrity of the angler’s body in mind, they did this by adding additional padding in the lumbar and shoulder blade area while also making sure that the lifting handle and the shoulder straps were adequately padded for overall comfort. 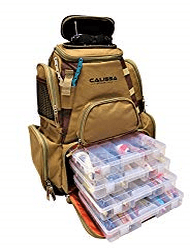 Calissa Offshore Tackle has come out with an amazing tackle backpack. 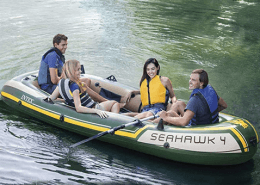 It’s lightweight, compact and can fit just about anything you would ever need for a day on the water. This bag fits the body very nicely making it easy to wear all day and easily cast while still wearing it. It can carry a lot of fishing gear with its very spacious upper and lower compartments. 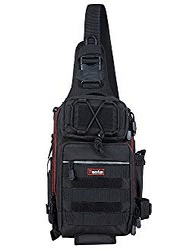 This is a great fishing tackle backpack. 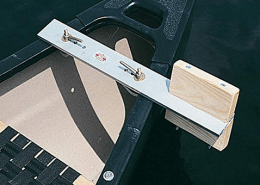 The lower compartment is more than capable of holding 4-3600 size tackle boxes, and they even include them with the purchase of the bag. On top of the bag you’ll find a hard molded sunglasses carrying case. This is a must have for every angler, we all know how taxing the sun can be on your eyes after a day on the water. The Blackstar is very light weight which means you don’t have to worry about having a backpack that is unnecessarily heavy from the start. This means you’ll be able to load it up and carry it with easy. This doesn’t mean they forgot about the comfort factor. Calissa made sure to make the straps completely adjustable so it can fit any body size or shape perfectly. They also incorporated padding on the back area where your back comes into contact with the bag so you don’t have to worry about the contents of the bag digging into your back. This is a bag that any angler would appreciate. Oh yea, they even put 5 little plastic feet on the bottom of the bag to help it stay up off the ground. It’s the little things that count!